Developing country debt crises have been a recurrent phenomenon over the past two centuries. In recent times sovereign debt insolvency crises in developing and emerging economies peaked in the 1980s and, again, from the middle 1990s to the start of the new millennium. Despite the fact that several developing countries now have stronger economic fundamentals than they did in the 1990s, sovereign debt crises will reoccur again. The reasons for this are numerous, but the central one is that economic fluctuations are inherent features of financial markets, the boom and bust nature of which intensify under liberalized financial environments that developing countries have increasingly adopted since the 1970s. Indeed, today we are in the midst of an almost unprecedented global 'bust' The timing of the book is important. The conventional wisdom is that the international economic and financial system is broken. Policymakers in both the poorest and the richest countries are likely to seriously consider how to restructure the international trade and financial system, including how to resolve sovereign debt crises in a more effective and fair manner. This book calls for the international reform of sovereign debt workouts which derives from both economic theory and real-world experiences. Country case studies underline the point that we need to do better. 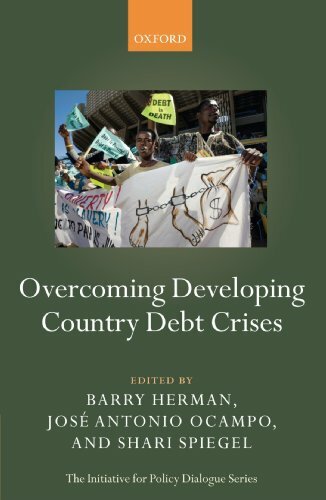 This book recognizes that the politics of the international treatment of sovereign debt have not supported systemic reform efforts thus far; however, failure in the past does not preclude success in the future in an evolving international political environment, and the book thus puts forth alternative reform ideas for consideration.